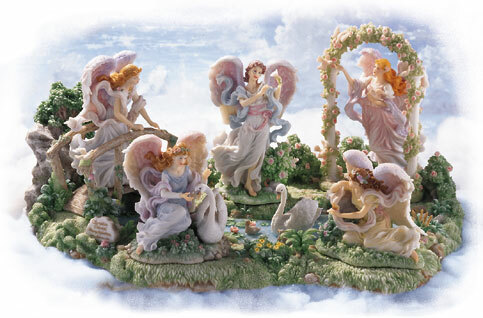 Five angels form an oasis of serenity as they admire the surroundings of a peaceful pond. Purchase the entire set or order individual pieces and build your collection. This set retired in June of 2000. Limited quantities still available. ORDER NOW before they are gone.